Why is this night different from all other nights – they will be in our new building! Please join Rabbi Shlomo and Rebbetzen Lynndy and Rabbi Eli and Rebbetzen Lauren and Family for this special evening. 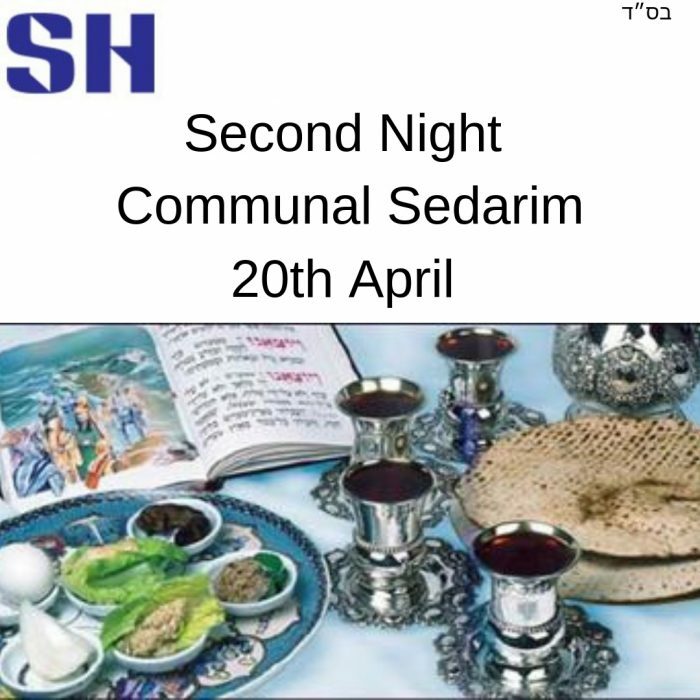 Alternatively please join Rabbi Shlomo & Rebbetzin Bonnie and family for the Young Professionals and Young Couples Seder. You will need to book for catering and security purposes and we would welcome any donations to cover the costs of this evening which are £42 per adult and £24 per child. 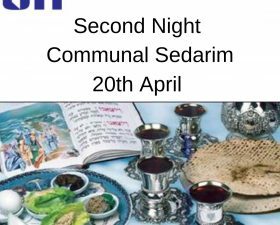 Please put reference Seder/your Family Name. Please call the office to let them know if you do this as we will need to know your numbers and any dietary requirements.